Per Richard Deitsch at Sports Illustrated, Vin Scully has been named the 2016 Media Person of the Year. Elegance isn’t something we see often in sports broadcasting these days—the era is more Baylessian than Bard. Scully reminded us, whether real or imagined, of a more peaceful time. We were lucky to have him as long as we did. Wishing you a very pleasant good afternoon, Vin, wherever you may be. Awesome! Per Rich Mueller at Sports Collectors Daily; "Goldin Auctions to Partner with Jackie Robinson Foundation." 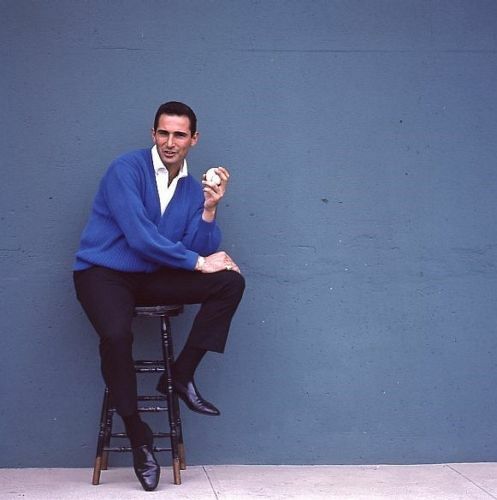 Per Harold Uhlman at Think Blue LA; "Joe Black – A Dodger and a Best Friend." While Joe Black does not have the illustrious career of Jackie Robinson as an African American player in a time when only six major league clubs accepted men of color, he endured the same struggles. He was told more than once that, “Colored guys don’t play baseball.” On more than one occasion he had to endure the chant, “Old Black Joe” emanating from the opponent’s dugout. Per Dave Cameron at FanGraphs; "The Twins Should Take Jose De Leon While They Can." Congrats to the Great Lakes Loons - the Dodgers Single-A affiliate. 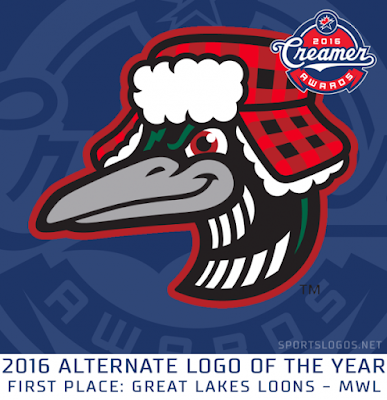 Per Chris Creamer at SportsLogos.net, their "Winter Loon" alternate logo has been named the 2016 Alternate Logo of the Year.